For industrial applications, as well as in the arts, permanence and stability are desirable properties. Pigments that are not permanent are called fugitive. Fugitive pigments fade over time, or with exposure to light, while some eventually blacken. Pigments are used for coloring paint, ink, plastic, fabric, cosmetics, food, and other materials. Most pigments used in manufacturing and the visual arts are dry colorants, usually ground into a fine powder. For use in paint, this powder is added to a binder (or vehicle), a relatively neutral or colorless material that suspends the pigment and gives the paint its adhesion. A distinction is usually made between a pigment, which is insoluble in its vehicle (resulting in a suspension), and a dye, which either is itself a liquid or is soluble in its vehicle (resulting in a solution). A colorant can act as either a pigment or a dye depending on the vehicle involved. In some cases, a pigment can be manufactured from a dye by precipitating a soluble dye with a metallic salt. The resulting pigment is called a lake pigment. The term biological pigment is used for all colored substances independent of their solubility. In 2006, around 7.4 million tons of inorganic, organic and special pigments were marketed worldwide. Asia has the highest rate on a quantity basis followed by Europe and North America. The global demand on pigments was roughly US$20.5 billion in 2009. A wide variety of wavelengths (colors) encounter a pigment. This pigment absorbs red and green light, but reflects blue—creating the color blue. Pigments appear colored because they selectively reflect and absorb certain wavelengths of visible light. White light is a roughly equal mixture of the entire spectrum of visible light with a wavelength in a range from about 375 or 400 nanometers to about 760 or 780 nm. When this light encounters a pigment, parts of the spectrum are absorbed by the pigment. Organic pigments such as diazo or phthalocyanine compounds feature conjugated systems of double bonds. Some inorganic pigments, such as vermilion (mercury sulfide) or cadmium yellow (cadmium sulfide), absorb light by transferring an electron from the negative ion (S2−) to the positive ion (Hg2+ or Cd2+). The other wavelengths or parts of the spectrum are reflected or scattered. The new reflected light spectrum creates the appearance of a color. Pigments, unlike fluorescent or phosphorescent substances, can only subtract wavelengths from the source light, never add new ones. The appearance of pigments is intimately connected to the color of the source light. Sunlight has a high color temperature and a fairly uniform spectrum and is considered a standard for white light, while artificial light sources tend to have strong peaks in parts of their spectra. Viewed under different lights, pigments will appear different colors. Sunlight encounters Rosco R80 "Primary Blue" pigment. The product of the source spectrum and the reflectance spectrum of the pigment results in the final spectrum, and the appearance of blue. Other properties of a color, such as its saturation or lightness, may be determined by the other substances that accompany pigments. Binders and fillers added to pure pigment chemicals also have their own reflection and absorption patterns, which can affect the final spectrum. For example, in pigment/binder mixtures, individual rays of light may not encounter pigment molecules and may be reflected unchanged. These stray rays of source light make the mixture appear to have a less saturated color. Pure pigment allows very little white light to escape, producing a highly saturated color, while a small quantity of pigment mixed with a lot of white binder will appear unsaturated and pale due to incident white light escaping unchanged. Before the Industrial Revolution, the range of color available for art and decorative uses was technologically limited. Most of the pigments in use were earth and mineral pigments, or pigments of biological origin. Pigments from unusual sources such as botanical materials, animal waste, insects, and mollusks were harvested and traded over long distances. Some colors were costly or impossible to obtain, given the range of pigments that were available. Blue and purple came to be associated with royalty because of their rarity. Mineral pigments were also traded over long distances. The only way to achieve a deep rich blue was by using a semi-precious stone, lapis lazuli, to produce a pigment known as ultramarine, and the best sources of lapis were remote. Flemish painter Jan van Eyck, working in the 15th century, did not ordinarily include blue in his paintings. To have one's portrait commissioned and painted with ultramarine blue was considered a great luxury. If a patron wanted blue, they were obliged to pay extra. When Van Eyck used lapis, he never blended it with other colors. Instead he applied it in pure form, almost as a decorative glaze. The prohibitive price of lapis lazuli forced artists to seek less expensive replacement pigments, both mineral (azurite, smalt) and biological (indigo). Spain's conquest of a New World empire in the 16th century introduced new pigments and colors to peoples on both sides of the Atlantic. Carmine—a dye and pigment derived from a parasitic insect found in Central and South America—attained great status and value in Europe. Produced from harvested, dried, and crushed cochineal insects, carmine could be—and still is—used in fabric dye, food dye, body paint, or—in its solid lake form—almost any kind of paint or cosmetic. According to Diana Magaloni, the Florentine Codex contains a variety of illustrations with multiple variations of the red pigments. Specifically in the case of achiotl (light red), technical analysis of the paint reveals multiple layers of the pigment although the layers of the pigment is not visible to the naked eye. Therefore, it proves that the process of applying multiple layers is more significant in comparison to the actual color itself. Furthermore, the process of layering the various hues of the same pigment on top of each other enabled the Aztec artists to create variations in the intensity of the subject matter. A bolder application of pigment draws the viewer's eye to the subject matter which commands attention and suggests a power of the viewer. A weaker application of pigment commands less attention and has less power. This would suggest that the Aztec associated the intensity of pigments with the idea of power and life. Natives of Peru had been producing cochineal dyes for textiles since at least 700 CE, but Europeans had never seen the color before. When the Spanish invaded the Aztec empire in what is now Mexico, they were quick to exploit the color for new trade opportunities. Carmine became the region's second most valuable export next to silver. Pigments produced from the cochineal insect gave the Catholic cardinals their vibrant robes and the English "Redcoats" their distinctive uniforms. The true source of the pigment—an insect—was kept secret until the 18th century, when biologists discovered the source. Girl with a Pearl Earring by Johannes Vermeer (c. 1665). While carmine was popular in Europe, blue remained an exclusive color, associated with wealth and status. The 17th-century Dutch master Johannes Vermeer often made lavish use of lapis lazuli, along with carmine and Indian yellow, in his vibrant paintings. The earliest known pigments were natural minerals. Natural iron oxides give a range of colors and are found in many Paleolithic and Neolithic cave paintings. Two examples include Red Ochre, anhydrous Fe2O3, and the hydrated Yellow Ochre (Fe2O3.H2O). Charcoal—or carbon black—has also been used as a black pigment since prehistoric times. Two of the first synthetic pigments were white lead (basic lead carbonate, (PbCO3)2Pb(OH)2) and blue frit (Egyptian Blue). White lead is made by combining lead with vinegar (acetic acid, CH3COOH) in the presence of CO2. Blue frit is calcium copper silicate and was made from glass colored with a copper ore, such as malachite. These pigments were used as early as the second millennium BCE Later premodern additions to the range of synthetic pigments included vermilion, verdigris and lead-tin-yellow. Prussian blue was the first modern synthetic pigment, discovered by accident in 1704. By the early 19th century, synthetic and metallic blue pigments had been added to the range of blues, including French ultramarine, a synthetic form of lapis lazuli, and the various forms of Cobalt and Cerulean blue. In the early 20th century, organic chemistry added Phthalo Blue, a synthetic, organometallic pigment with overwhelming tinting power. Self Portrait by Paul Cézanne. Working in the late 19th century, Cézanne had a palette of colors that earlier generations of artists could only have dreamed of. Discoveries in color science created new industries and drove changes in fashion and taste. The discovery in 1856 of mauveine, the first aniline dye, was a forerunner for the development of hundreds of synthetic dyes and pigments like azo and diazo compounds which are the source of a wide spectrum of colors. Mauveine was discovered by an 18-year-old chemist named William Henry Perkin, who went on to exploit his discovery in industry and become wealthy. His success attracted a generation of followers, as young scientists went into organic chemistry to pursue riches. Within a few years, chemists had synthesized a substitute for madder in the production of Alizarin Crimson. By the closing decades of the 19th century, textiles, paints, and other commodities in colors such as red, crimson, blue, and purple had become affordable. Development of chemical pigments and dyes helped bring new industrial prosperity to Germany and other countries in northern Europe, but it brought dissolution and decline elsewhere. In Spain's former New World empire, the production of cochineal colors employed thousands of low-paid workers. The Spanish monopoly on cochineal production had been worth a fortune until the early 19th century, when the Mexican War of Independence and other market changes disrupted production. Organic chemistry delivered the final blow for the cochineal color industry. When chemists created inexpensive substitutes for carmine, an industry and a way of life went into steep decline. 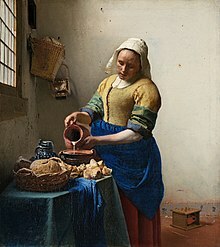 The Milkmaid by Johannes Vermeer (c. 1658). Vermeer was lavish in his choice of expensive pigments, including lead-tin-yellow, natural ultramarine, and madder lake, as shown in the vibrant painting. Before the Industrial Revolution, many pigments were known by the location where they were produced. Pigments based on minerals and clays often bore the name of the city or region where they were mined. Raw Sienna and Burnt Sienna came from Siena, Italy, while Raw Umber and Burnt Umber came from Umbria. These pigments were among the easiest to synthesize, and chemists created modern colors based on the originals. These were more consistent than colors mined from the original ore bodies, but the place names remained. Titian used the historic pigment Vermilion to create the reds in the oil painting of Assunta, completed c. 1518. Indian Yellow was once produced by collecting the urine of cattle that had been fed only mango leaves. Dutch and Flemish painters of the 17th and 18th centuries favored it for its luminescent qualities, and often used it to represent sunlight. Since mango leaves are nutritionally inadequate for cattle, the practice of harvesting Indian Yellow was eventually declared to be inhumane. Modern hues of Indian Yellow are made from synthetic pigments. Ultramarine, originally the semi-precious stone lapis lazuli, has been replaced by an inexpensive modern synthetic pigment, French Ultramarine, manufactured from aluminium silicate with sulfur impurities. At the same time, Royal Blue, another name once given to tints produced from lapis lazuli, has evolved to signify a much lighter and brighter color, and is usually mixed from Phthalo Blue and titanium dioxide, or from inexpensive synthetic blue dyes. Since synthetic ultramarine is chemically identical with lapis lazuli, the "hue" designation is not used. French Blue, yet another historic name for ultramarine, was adopted by the textile and apparel industry as a color name in the 1990s, and was applied to a shade of blue that has nothing in common with the historic pigment ultramarine. 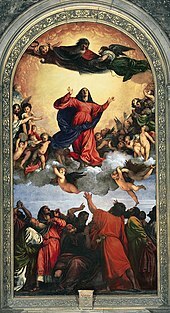 Vermilion, a toxic mercury compound favored for its deep red-orange color by old master painters such as Titian, has been replaced in painters' palettes by various modern pigments, including cadmium reds. Although genuine Vermilion paint can still be purchased for fine arts and art conservation applications, few manufacturers make it, because of legal liability issues. Few artists buy it, because it has been superseded by modern pigments that are both less expensive and less toxic, as well as less reactive with other pigments. As a result, genuine Vermilion is almost unavailable. Modern vermilion colors are properly designated as Vermilion Hue to distinguish them from genuine Vermilion. ISO-787 General methods of test for pigments and extenders. ISO-8780 Methods of dispersion for assessment of dispersion characteristics. Many manufacturers of paints, inks, textiles, plastics, and colors have voluntarily adopted the Colour Index International (CII) as a standard for identifying the pigments that they use in manufacturing particular colors. First published in 1925—and now published jointly on the web by the Society of Dyers and Colourists (United Kingdom) and the American Association of Textile Chemists and Colorists (USA)—this index is recognized internationally as the authoritative reference on colorants. It encompasses more than 27,000 products under more than 13,000 generic color index names. In the CII schema, each pigment has a generic index number that identifies it chemically, regardless of proprietary and historic names. For example, Phthalocyanine Blue BN has been known by a variety of generic and proprietary names since its discovery in the 1930s. In much of Europe, phthalocyanine blue is better known as Helio Blue, or by a proprietary name such as Winsor Blue. An American paint manufacturer, Grumbacher, registered an alternate spelling (Thanos Blue) as a trademark. Colour Index International resolves all these conflicting historic, generic, and proprietary names so that manufacturers and consumers can identify the pigment (or dye) used in a particular color product. 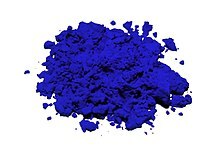 In the CII, all phthalocyanine blue pigments are designated by a generic color index number as either PB15 or PB16, short for pigment blue 15 and pigment blue 16; these two numbers reflect slight variations in molecular structure that produce a slightly more greenish or reddish blue. According to a April 2018 report by Bloomberg Businessweek, the estimated value of the pigment industry globally is $30 billion. The value of titanium dioxide – used to enhance the white brightness of many products – was placed at $13.2 billion per year, while the color Ferrari red is valued at $300 million each year. Swatches are used to communicate colors accurately. For different media like printing, computers, plastics, and textiles, different types of swatches are used. Generally, the medium which offers the broadest gamut of color shades is widely used across different media. There are many reference standards providing printed swatches of color shades. PANTONE, RAL, Munsell etc. are widely used standards of color communication across different media like printing, plastics, and textiles. Companies manufacturing color masterbatches and pigments for plastics offer plastic swatches in injection molded color chips. These color chips are supplied to the designer or customer to choose and select the color for their specific plastic products. Plastic swatches are available in various special effects like pearl, metallic, fluorescent, sparkle, mosaic etc. However, these effects are difficult to replicate on other media like print and computer display. Plastic swatches have been created by 3D modelling to including various special effects. The following approximations assume a display device at gamma 2.2, using the sRGB color space. The further a display device deviates from these standards, the less accurate these swatches will be. Swatches are based on the average measurements of several lots of single-pigment watercolor paints, converted from Lab color space to sRGB color space for viewing on a computer display. Different brands and lots of the same pigment may vary in color. Furthermore, pigments have inherently complex reflectance spectra that will render their color appearance greatly different depending on the spectrum of the source illumination, a property called metamerism. Averaged measurements of pigment samples will only yield approximations of their true appearance under a specific source of illumination. Computer display systems use a technique called chromatic adaptation transforms to emulate the correlated color temperature of illumination sources, and cannot perfectly reproduce the intricate spectral combinations originally seen. In many cases, the perceived color of a pigment falls outside of the gamut of computer displays and a method called gamut mapping is used to approximate the true appearance. Gamut mapping trades off any one of lightness, hue, or saturation accuracy to render the color on screen, depending on the priority chosen in the conversion's ICC rendering intent. In biology, a pigment is any colored material of plant or animal cells. Many biological structures, such as skin, eyes, fur, and hair contain pigments (such as melanin). Animal skin coloration often comes about through specialized cells called chromatophores, which animals such as the octopus and chameleon can control to vary the animal's color. Many conditions affect the levels or nature of pigments in plant, animal, some protista, or fungus cells. For instance, the disorder called albinism affects the level of melanin production in animals. Pigmentation in organisms serves many biological purposes, including camouflage, mimicry, aposematism (warning), sexual selection and other forms of signalling, photosynthesis (in plants), as well as basic physical purposes such as protection from sunburn. Pigment color differs from structural color in that pigment color is the same for all viewing angles, whereas structural color is the result of selective reflection or iridescence, usually because of multilayer structures. For example, butterfly wings typically contain structural color, although many butterflies have cells that contain pigment as well. Clay earth pigments (iron oxides): yellow ochre, raw sienna, burnt sienna, raw umber, burnt umber. ^ Khan, Amina (14 October 2011). "Artifacts indicate a 100,000-year-old art studio". Los Angeles Times. Archived from the original on 19 November 2015. ^ "Market Report: World Pigment Market". Acmite Market Intelligence. Archived from the original on 29 November 2010. ^ "Earliest evidence of art found". BBC News. 2 May 2000. Archived from the original on 3 June 2016. Retrieved 1 May 2016. ^ Kassinger, Ruth G. (6 February 2003). Dyes: From Sea Snails to Synthetics. 21st century. ISBN 0-7613-2112-8. Archived from the original on 1 July 2014. ^ Michel Pastoureau (1 October 2001). Blue: The History of a Color. Princeton University Press. ISBN 0-691-09050-5. ^ Magaloni Kerpel, Diana (2014). The Colors of The New World. Los Angeles, CA: The Getty Research Institute. pp. 35–40. ^ Jan Wouters, Noemi Rosario-Chirinos (1992). "Dye Analysis of Pre-Columbian Peruvian Textiles with High-Performance Liquid Chromatography and Diode-Array Detection". Journal of the American Institute for Conservation. The American Institute for Conservation of Historic &. 31 (2): 237–255. doi:10.2307/3179495. JSTOR 3179495. ^ Amy Butler Greenfield (26 April 2005). A Perfect Red: Empire, Espionage, and the Quest for the Color of Desire. HarperCollins. ISBN 0-06-052275-5. ^ a b "Pigments Through the Ages". WebExhibits.org. Archived from the original on 11 October 2007. Retrieved 18 October 2007. ^ Octavio Hernández. "Cochineal". Mexico Desconocido Online. Archived from the original on 10 March 2004. Retrieved 15 July 2005. ^ Jeff Behan. "The bug that changed history". Archived from the original on 21 June 2006. Retrieved 26 June 2006. ^ a b "History of Indian yellow". Pigments Through the Ages. Archived from the original on 21 December 2014. Retrieved 13 February 2015. ^ Schonbrun, Zach (18 April 2018). "The Quest for the Next Billion-Dollar Color". Bloomberg Businessweek. Retrieved 2 May 2018. ^ "Survey of products with nanosized pigments" (PDF). The Danish Environmental Protection Agency. 2015. ^ "Nanomatériaux" [Nanomaterials] (in French). Ministry of Ecological and Solidarity Transition, France. 14 February 2017. ^ "Dictionary of Color Terms". Gamma Scientific. Archived from the original on 20 August 2014. Retrieved 25 June 2014. ^ "Chromatic Adaptation". cmp.uea.ac.uk. Archived from the original on 29 September 2007. Retrieved 16 April 2009. ^ Engineer Manual 1110-2-3400 Painting: New Construction and Maintenance (PDF). 30 April 1995. pp. 4–12. Archived (PDF) from the original on 1 December 2017. Retrieved 24 November 2017. Feller, R. L., ed. (1986). Artists' Pigments. A Handbook of Their History and Characteristics, Vol. 1. London: Cambridge University Press. Roy, A., ed. (1993). Artists' Pigments. A Handbook of Their History and Characteristics, Vol. 2,. Oxford University Press. Fitzhugh, E. W., ed. (1997). Artists' Pigments. A Handbook of Their History and Characteristics, Vol. 3. Oxford University Press. Berrie, B., ed. (2007). Artists' Pigments. A Handbook of Their History and Characteristics, Vol. 4. Archetype Books. 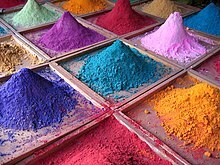 Wikimedia Commons has media related to Pigments.